Extract from the poem 'The Book of Longing' by Leonard Cohen. 4. Freedom from suffering is possible by practicing the eightfold path. To me the first two of the 'Four Noble Truths' are self-evident to anyone who has ever thought deeply and honestly enough about why human beings are so prone to experience emotional and psychological discomfort. The enthusiastic galloping horse of desire seems invariably followed by the leaden, slow moving cart of depression. The Third Truth which prescribes an opposite reaction certainly has a distinct plausibility, yet lacks sufficient evidence from my own experience to be fully embraced. The Fourth Truth, which further prescribes eight specific attitudes to living, though undoubtedly as fine a recipe for leading a virtuous life as you will find, is similarly not self-evident to me. So I limit my discussion to the first Three Truths. An all-knowing i.e., omniscient God would surely know that there was suffering in the world. An all-powerful i.e., omnipotent God could surely prevent such suffering from occurring. An all-good i.e., omnibenevolent God would surely wish to prevent suffering from existing in the world. However there is suffering in the world. The logical contradiction is obvious. Because the fourth statement is undeniably true, one of the other three must therefore be false. Setting aside the theological just-so stories labelled as theodicy, the more direct logical consequences are either (i) the cessation of an individual’s suffering is beyond God’s capability, or (ii) God does not care whether we suffer, or of course (iii) as Buddhism certainly suggests, but never directly asserts, there is no creator God. While I can understand the reasons for hypothesising the existence of a creator god-like entity, I cannot follow the line of reasoning offered by many theists that such an entity is necessarily benevolent or merciful. It simply makes no sense to me either logically or evidentially and smacks strongly of mere wishful thinking. I address this point in more detail in my essay 'A Determined Critique of Free Will Theodicy'. The second noble truth, as Leonard Cohen suggests, argues that suffering arises from the unbridled psychological and emotional attachment to our chosen objects of desire. No matter how much we enjoy something we are forced to moderate our exposure to the joyful stimulus. Unfettered consumption is always eventually problematic, whether it is of physical exercise, icecream, heroin or music. In addition, because both ourselves and all of the objects of our attachment are transient and inherently impermanent, it is inevitable that we will eventually suffer their loss also. Flowers wilt, the in-the-moment ecstasy engendered by a piece of music or poetry cannot be reliably emulated or repeated and the endorphin-fuelled high produced by physcial activity eventually gives way to exhaustion. ".............it means letting the world flow through me, instead of trying to hang onto it and keep the good bits in a jar”. Certainly one of the most beautiful poems I have ever read and a verse that encapsulates the Buddhist view of physical impermanence so well. Although R S Thomas is telling us of the death of his wife there is no sense of depression, of mourning, in this poem. He simply accepts the situation. Rather, it is descriptive and celebratory of her life. Ironically, R S Thomas was not Buddhist but a minister of the Anglican Church in Wales. I wonder if he realised he was illustrating the Buddha’s Third Noble Truth? I'm sure he's have no problem with that. His natural acceptance of impermanence is integral to the Buddhist worldview. Nothing at all, in or outside of this universe, remains a constant. Again, this contrasts starkly with the monotheistic view. Although Christianity and Islam, for example, naturally recognise the impermanence of physical matter and the material universe, a belief in the inherent permanence of god and soul remains a crucial component of the theology. In Buddhist thought, however, phenomena at all levels of reality are impermanent including all nonphysical reality, whether conceived as perceptions, beliefs, thoughts, souls or gods. The concept of ‘self’ is no exception. The view of individual ‘selves’ as essentially autonomous entities that change in response to environmental and perhaps mental stimuli is challenged by the Buddhist synopsis of the ‘self’ as nothing more or less than an impermanent aggregation of interrelated causal processes at a particular point in time. These processes are considered devoid of any permanent spiritual core and often portrayed as either ‘none-self’ or ‘not-self’. Though not a Buddhist himself, Jiddu Krishnamurti adds to the concept with his phrase “living and dying from moment to moment”. This popular Buddhist conception of the ‘self’, however, is actually a simplistic version of Buddhist philosophy. 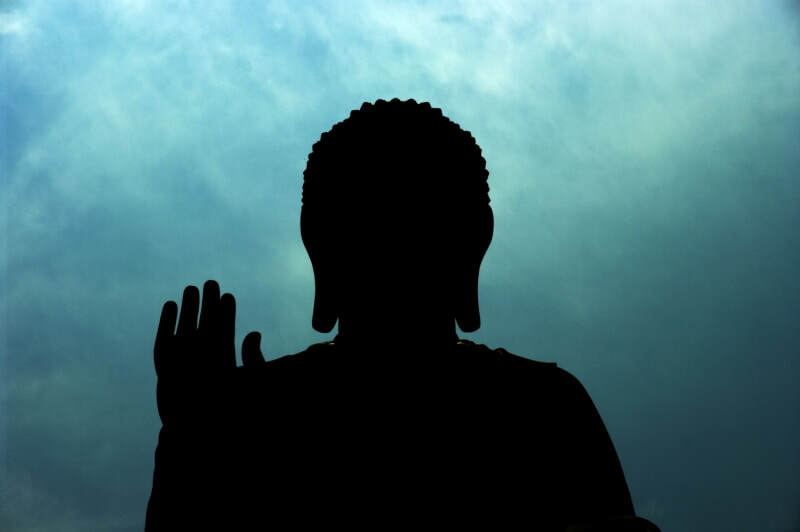 The Buddha did not teach the concept of ‘none-self’ or ‘not-self’; his approach was more cautious and subtle. The one time he was specifically asked about the status of the ‘self’, it is said that he refused to answer. When later asked why, he said that to hold either that there exists a ‘self’ or a ‘not-self’ is to fall into a philosophical trap, as the very concept of ‘self’ is illusory. This is a valid point. No matter how ‘self’ or ‘not-self’ are defined, harbouring the very notion of ‘self, positively or negatively,’ is surely predicated on an element of self-identification and therefore of psychological attachment which, as we have seen, is the royal road to suffering. Whether ‘self’ is illusory or not humans are reliably observed to naturally act in an opposite fashion to the advice given in the Third Truth and to pursue strategies attempting ‘self-permanence’. In monotheist-based cultures, for example, people immerse themselves to varying degrees in the belief that we can never truly die. Many also try to indelibly stamp their attitudes and values on their children. Or we seek others who share our attitudes and values by participating in political and/or religious institutions in order to influence society at large. In the case of religion, this sense of shared values and beliefs usually comes at a price. Many people claim to hold to both religious belief and rationality but logically it is impossible to be equally effective at both, as one relies heavily on faith while the other relies heavily on logic and/or empirical evidence. Eventually something has to give, and this is evidenced by a dearth of fundamentalist religious believers in the laboratory and a shortage of those unwilling to submit their lives to faith in the pulpit. The Christian notion of Heaven and the Islamic ideal of Paradise can be considered as prime examples of a ‘self’ concept with attachment to a nonphysical object because, in the absence of direct evidence, an afterlife is an irrational belief. It encompasses a desire to not only achieve ‘self-permanence’, but the same permanence for other ‘selves’ with whom attachments have been forged. In a similar way some believers in an afterlife can be observed to demonstrate what Chogyam Trungpa has labelled ‘spiritual materialism’, by holding attachment to their accumulation of piety or good deeds that they believe will enable safe passage to their afterlife. To a Buddhist, never mind the comfort these beliefs may bring; ignorance too is rightly considered a form of suffering. ​All original images and written content are copyright © Gary Hill 2015. All rights reserved. Not in public domain. If you wish to use my work for anything other than legal 'fair use' (i.e., non-profit educational or scholarly research or critique purposes) please contact me for permission first.